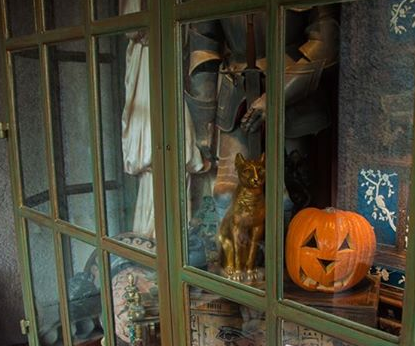 Did you know Today’s Tiggerific Tuesday Trivia about which attraction always celebrates Halloween? It’s almost fall and the parks are being decorated with all the fall colors. Truly one of our favorite times of the year. But there is one attraction that is always celebrating Halloween. 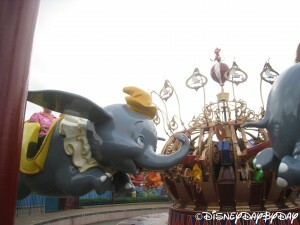 Which attraction is it? If you guessed the Tower of Terror at Hollywood Studios then you are correct! The tower was struck by lightening on Oct 31st so the decorations were there and remain. 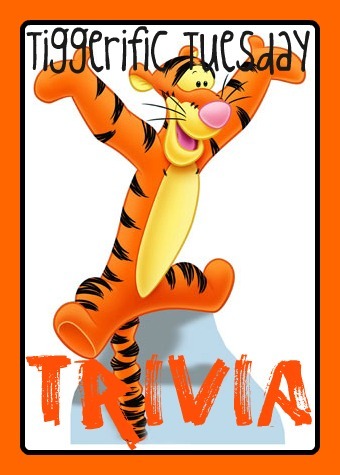 Did you know today’s Tiggerific Tuesday Trivia about the Matterhorn? So yes there is a half court basketball court inside the Matterhorn. Who is up for a round of HORSE? Did you know today’s Tiggerific Tuesday Trivia about the Oldest Tree at Disneyland? 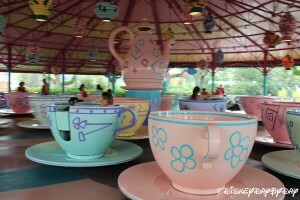 As we have an upcoming vacation to Disneyland, I have been researching and looking over some of the unique things that we may want to see while we are there. One thing I came across was the Dominguez tree. The Dominguez family lived on 10 acres of land that Walt Disney was looking to purchase for Disneyland. 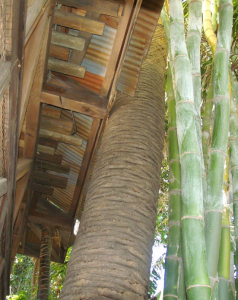 The family had a tree on the property that was near and dear to their heart, a Canary Island Date Palm. This tree was planted in 1896 as a wedding gift. As part of the contract negotiations the family asked that the tree remain. Walt of course agreed and set out to build his park around the tree. The Dominguez family tree still stands in the park today. To find it, head towards the Indiana Jones Fastpass entrance and look to the right for a large tree trunk. 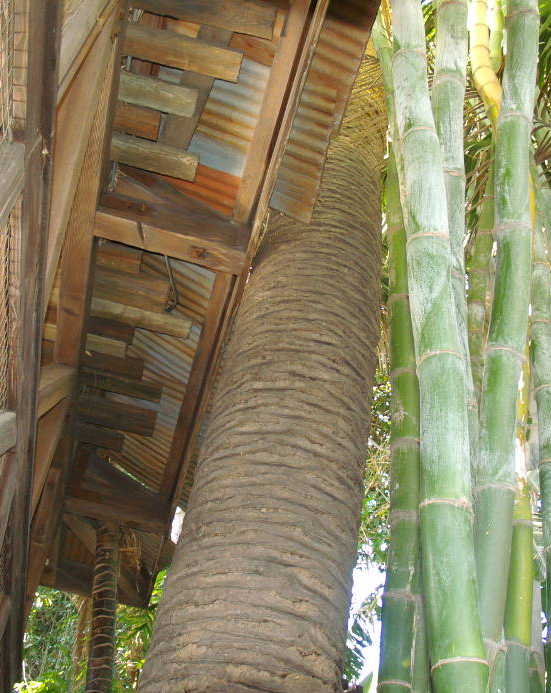 Look up to see how the roof line has been cut out around the tree. One other interesting fact about the Dominguez family, Ron Dominguez who lived on the property when the purchase took place went on to work for Disney. Ron was a ticket taker on opening day and rose up to Executive Vice President of Disneyland before retiring in 1994. You will also find his window on Main St, which states “Orange Grove Property Mgt, We care for your property as if it were our own”. Tiggerific Tuesday Trivia: Name the two caves…. 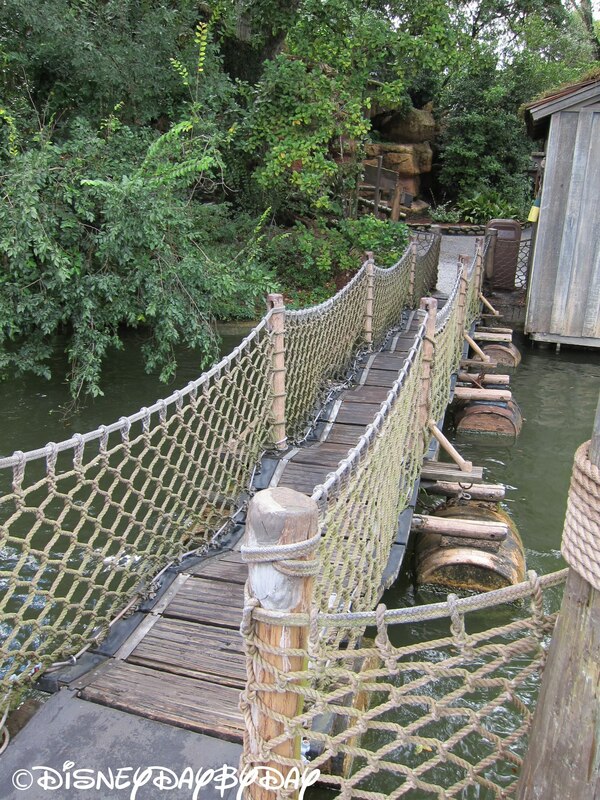 There are two caves on Tom Sawyer Island, can you name them???? 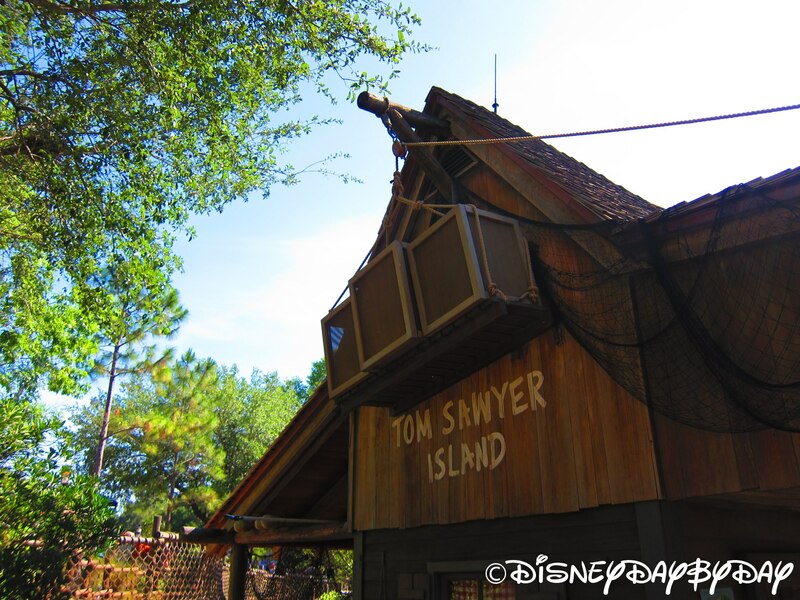 While older kids and those with not much time at the Magic Kingdom may want to skip this attraction, Tom Sawyer Island is a great way to escape the crowds and let you kids burn off some steam. 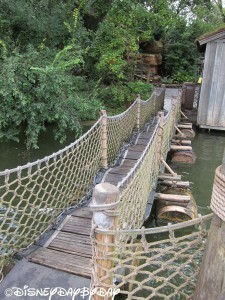 Board the rafts near Big Thunder Mountain and head on over. 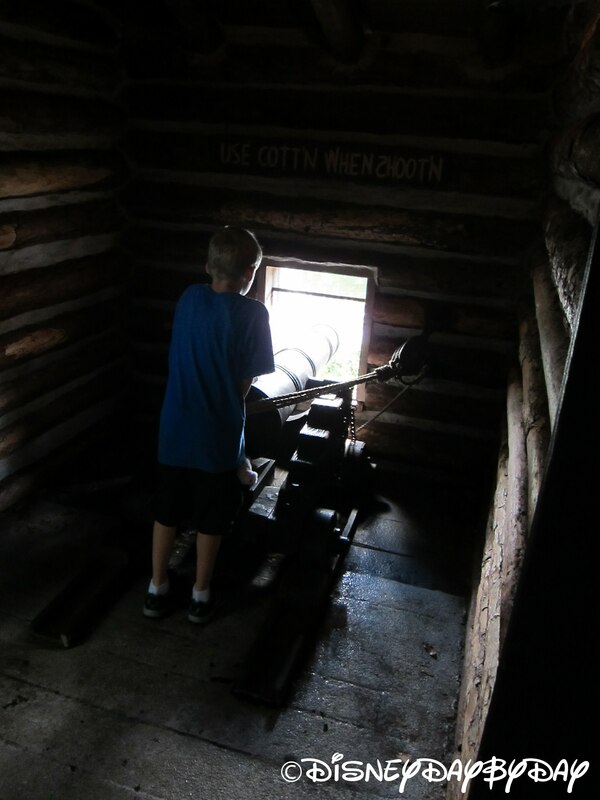 You can explore the paths, playground, and even take a rope bridge over to a fort and shoot the guns. Unfortunately, they no longer hide paint brushes on the island. But, our two favorite things on the island are the barrel bridge and the caves. There are two fun caves on the island with many places to hide and scare your siblings or your significant other (this may get you in trouble, you have been warned). But what are the names of these caves???? Answer is just below the pictures. Still trying to guess what the two caves are called?? 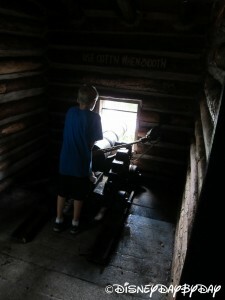 How about Injun Joe’s and the Magnetic Mystery Mine. What part of Tom Sawyer Island do you enjoy the most? Over the weekend I was walking up to our local grocery store and I noticed ceramic pumpkins greeting me at the door. Where has the summer gone? Thinking they were a bit early in celebration, I saw just yesterday The Disney Parks Blog discussing the addition of Jack Skellington to the lineup for this year’s Mickey’s Not So Scary Halloween Party. For those of you who have not made it to this party you, you have to get it on your bucket list. We have pictures and a snippet of our favorite parade on our Mickey’s Not So Scary Halloween Party Page to wet your appetite. Ok, where is the trivia? 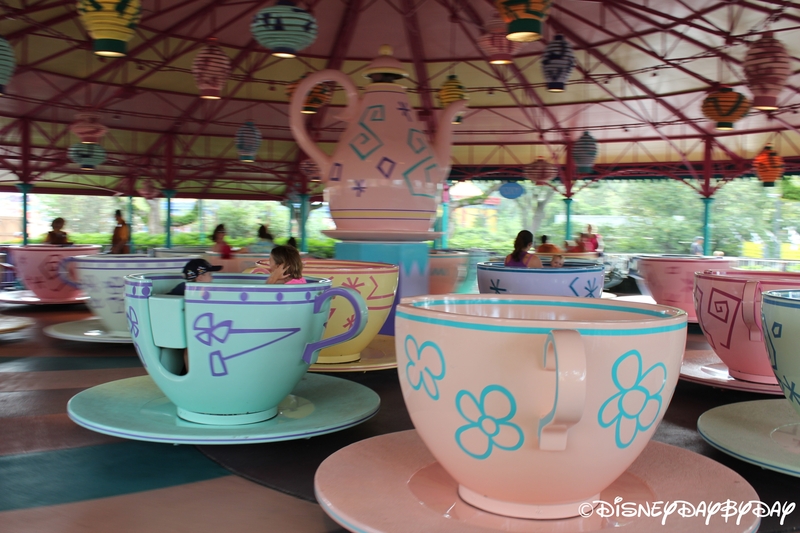 I figured you would ask, well if you looked at our page or the page over at The Disney Parks Blog you will know the answer to the following trivia. 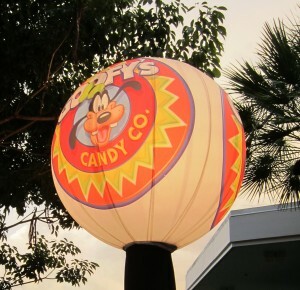 How many tons of candy does Disney World expect to give out this year for the Not So Scary Halloween Parties? Well, I’m wondering whose job it was to weigh all the candy and how much they weighed after doing so, but the answer is D. 220 tons. Now that’s a whole lot of candy. Our family was discussing our Halloween costumes for this year, looks like I might be Wreck It Ralph, our son will be Fix It Felix and my wife Vanellope. What are you planning to dress up as this year?